Want to see whats going through everyone’s mind? PlayerUnknown’s Battlegrounds Global Invitational 2018 is currently underway with some of the biggest streamers and personalities facing off against each other today for a share of the $1 million prize pool to give to charity. While you can watch the main broadcast on PUBG’s official Twitch channel, you can also watch each streamer’s personal Twitch channel to see their perspective and listen in to team chat. Tyler “Ninja” Blevins, Michael “Shroud” Grzesiek, and Guy “DrDisRespect” Beahm are just some of the 40 streamers and personalities that are competing at the event and all of them are currently live on their own channels to offer a unique insight into the tournament. 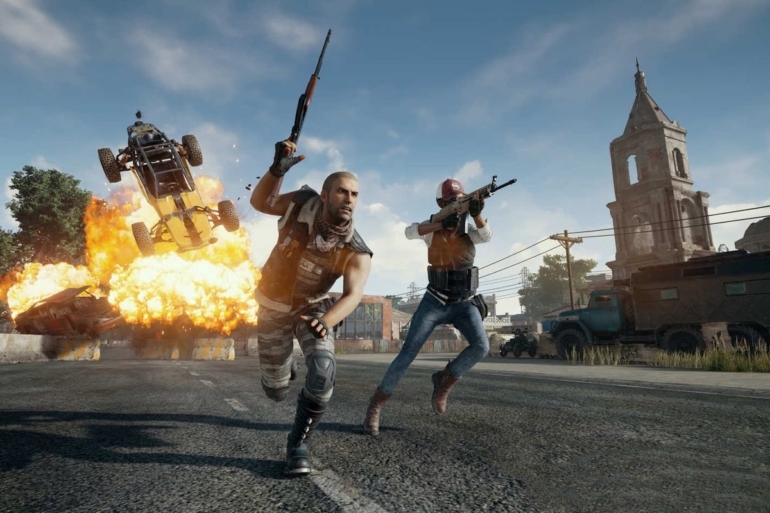 Each team consists of two streamers and two pro players, giving fans a rare insight into how competitive PUBG players think during matches. It is the ideal way for newcomers to learn more about the competitive scene by listening to how players communicate and what they shotcall during hectic teamfights. Shroud and DrDisprespect are on the same team alongside two members of Ghost Gaming, and both are providing some juicy back-and-forth commentary during matches. Doc went down three times during the first match only to be saved by Shroud each time—and you can watch the banter live. Ninja, however, is partied up with two members of Team Gates and JoshOG, which could potentially lead to some juicy one-on-ones against the popular streamers in later matches. Regardless of what happens, everyone on the stage is trying to win in order to claim $600,000 for a charity of their choice. Second place will take $300,000 and the third place team will take the last $100,000, leaving 17 teams with nothing.